Post 16 on the rides! 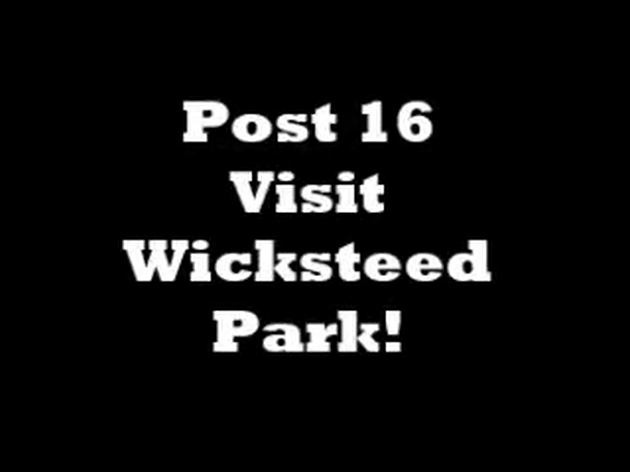 Post 16 had a lovely day together at Wicksteed Park on the last trip for this year! We have lots of strawberries coming! Nitin Ganatra visits Post 16 to celebrate Rohin's 18th Birthday!! HAPPY BIRTHDAY ROHIN! Visit from Nitin Ganatra to celebrate Rohin's 18th Birthday! Post 16 students have the opportunity to experience life skills to the full by looking after our virtual babies. The babies require love and attention, feeding, burping, nappy changes and even registers if they are too hot or too cold. The students had the opportunity to create their own television advert for a product they had invented. The students in this video used 'Cadbury' as their idea and made their own chocolate bar. Enjoy the video! We made a book using an application on an ipad. We called our book 'Wandering Wally'. For World Book Day, the students created a Children's Story Book. They used an app on an Ipad to make their animated book come alive. Post 16 have just started a carpentry project at Moulton College. They are making 'Stash boxes' or 'Jewellery boxes'. Students access various college links throughout the week. Here is a flavour of some of their completed work from a plumbing course. Here is a taste of the 2014 Summer Prom. A magical evening and enjoyed by all! Preparation for the Spring 2014 Enterprise Project! Post 16 are following an Entry Pathways Life Skills course called 'Personal safety in the home and in the community'. The students have been learning how to keep themselves safe when they are taking part in household activities such as cooking, ironing, and making hot drinks. Christina Bryant, the artist came to visit our school to tell us about her project on Hidden Landscapes, which is a part art/ part archeological approach to finding items in places on the edges of our society. Post 16 went to the edge of the Ridgeway site and found lots of items. In the photos Christina is talking to two of the students about their finds. The students made posters about their finds which is displayed in the entrance hall of the main building.